Christmas at Toontown is just a little bit wackier than usual. 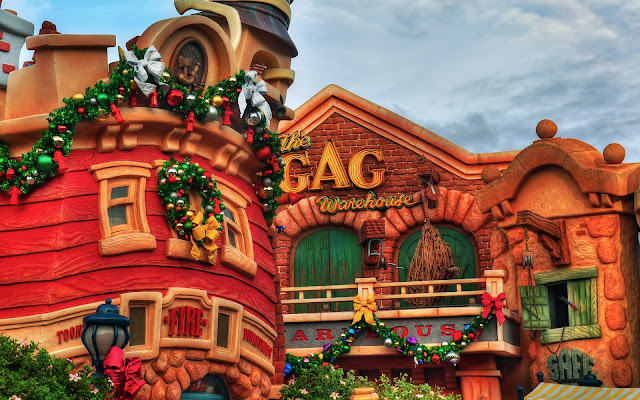 Oh sure, the decorations themselves are relatively straightforward... festive ribbons, vibrant garlands, verdant wreaths. But set in the goofy cartoon architecture, it just seems a little more zany... a little more spontaneous... a little more thrown together. 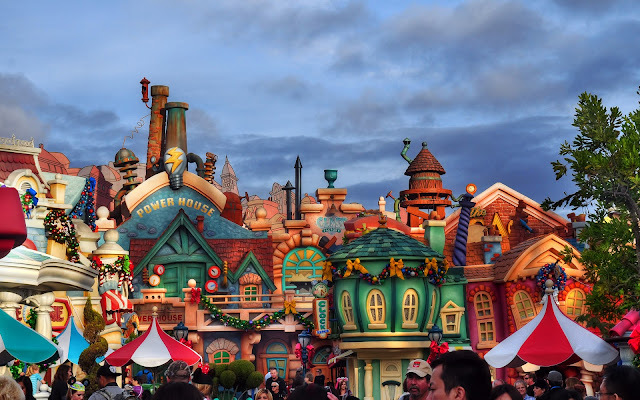 In short, Christmas at Toontown is an all around, unabashed good time. Some Christmas decorations in Mickey's Toontown. The ambiance during the holidays is full of activity.